How can QA enable IoT transformation for the Airlines sector? Every industry works towards understanding their customers better and their shifting preferences. Airlines industry, as we know, has gone through rough patches over the years. It has been under the gloom of issues such as cost cutting, security issues, infrastructure hiccups, and software glitches. This has resulted in nothing but more and more customer dismay and severe shots from the legal and political authorities. Internet-of-Things (IoT) is being leveraged by many industries to bring efficiency and elegance to their mundane processes. Placing the bait in this context, let’s evaluate, can IoT bring business value for the Airlines sector? IoT transformation for Airlines, does it make sense? In order to answer this question it is critical to understand a traveller’s experience lifecycle during a travel day at the airport. It can be a hectic schedule. The traveller has to reach the airport early for the flight, eventually, go through the long security queues, the check-ins, and finally board the bus for the flight. Various aspects within this cycle can be customized and the experience can be personalized. Deloitte report suggests that ‘IoT can transform the way we interact with the world around us, but also provides the opportunities to open up new sources of revenue’. Every customer wants to be engaged, empowered, delighted, and heard via various communication channels. This can be possible with IoT-enabled channels. Airport check-ins have been improvised substantially with online check-in and speedy bag-drop processes. Location based services are offered to the customers while moving across the airport – Bluetooth beacons, NFC tags, Wi-Fi and geolocation. This can not only offer convenience to the customers, but also bring value for various other businesses at the airport. Practically, IoT not only enhances customer experience, but also ensures added revenue for the airlines sector, if implemented scrupulously. IoT transformation cannot add value if it is not strategically planned and implemented. Moreover, with growing cyber threats, every open channel within the IoT system has to be tested and validated for security and seamless performance. How can Quality Assurance enable IoT Transformation? The Airlines sector has been going through various challenges, related to cybersecurity, software hiccups, and smooth service delivery. 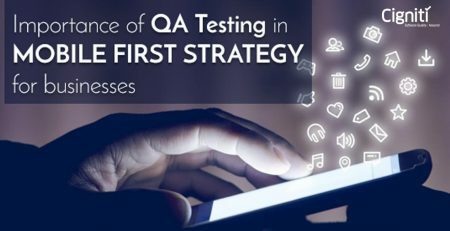 Quality Assurance and Testing has been implemented to not only ensure the expected performance, but also make the overall process secure within the system. Processes such as checking a bag without showing a ticket or ID, traveling through the security check-ins via just screening technologies, and buying goods at the airport with your smartphones. These activities are becoming possible, but how secure is your information? Are these devices foolproof and well tested? Security Testing and Vulnerability Assessment is needed to ensure that the IoT systems are well-guarded and no information gets breached. Security is a critical element within your IoT strategy, which cannot be missed. A breach can result in major reputation loss for the airlines. The airline or the airport authorities are introducing various facilities to enhance customer experience. But what will happen if this experience is compromised due to non-performance? It will again result in reputation loss and complaints from the customers. The airlines industry is very competitive, hence, a dissatisfied customer can choose another competing airline in case there is an issue with his/her experience. IoT cannot function without effectively establishing the connecting nodes overall. Moreover, all the activities need to converge on the devices held by the customers. That’s the way the experience is complete. A report by Deloitte has estimated that ‘Over 95 %of passengers in the US are carrying at least one mobile device’. IoT experience is incomplete if this connect is not established by the respective parties. Additionally, it will help airlines to understand the customer requirements and accumulate feedback in a better way. Is your service acceptable, received well, and consumed successfully? These points are critical for the service providers. Ultimately, it will help to bring constant revenue and RoI for the airline. Ultimately, convenience for the passenger is critical. For instance, there could be a solution for long queues and waiting at the boarding gate. Instead of crowding and getting frustrated at the gates, the passenger can leave his/her seat after receiving a message that ‘it’s time to board’. This would be the benefit that IoT can bring for the passenger and the airline. However, what if there is a glitch and the message is delivered after the flight takes off? It is important that these systems get tested for on-time delivery and performance, as planned. Cigniti looks at its projects as business enablers that can reduce costs in both Manual and Automation testing having domain expertise in the below mentioned areas. It helps to reach and engage customers for all modules related to the Airline Domain. We have staff experienced in managing several advanced airline IT solutions such as new generation Airlines Passenger solutions, Airlines Revenue Accounting, Airlines booking, ecommerce website, and Mobile Apps for different platforms, etc. Testing process and phases vary by development methodologies. Connect with us to ensure efficiency with your business-critical IoT-based applications and systems. 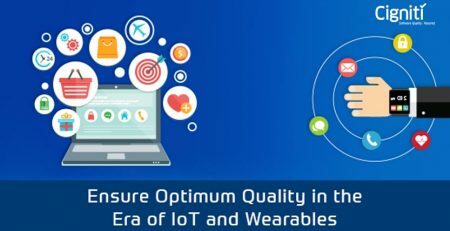 Why is it Critical to Ensure Optimum Quality in the Era of IoT and Wearables? 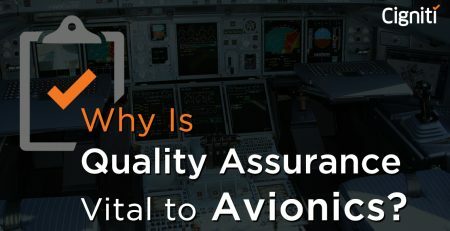 Why Is Quality Assurance Vital to Avionics?